A darkened stage is set, awaiting a show that will mesmerize the audience. Cascading light affixes itself to the stage for a band referred to as The McCartney Years to begin their performance. Prepare yourself to feel an utterly amazing true concert experience in an intimate theatre setting. Without leaving your seat, except to move to the music, you are whisked away through time from the Beatlemania craze creatively woven into a familiar musical mosaic from songs that include Sgt Peppers, Abbey Road, and songs from McCartney's post Beatles career in Wings Over America and Rock Show. The McCartney Years is an international touring production recreating McCartney's music in a 3-hour concert show. The McCartney Years represent the same passion, love and enthusiasm with the musical equivalent of what came out of the Abbey Road Studios to deliver a show that keeps the audience engaged throughout their musical journey together. From the groups inception, every performance is perfectly tweaked to a vocal and musical arrangement that is a mirror reflection of the original score from a library of over 250 songs. Without a doubt the audience, regardless of their age, will be able to take two steps forward and one step back while being completely enthralled in the show, feeling the same love for the music as the musicians on stage. 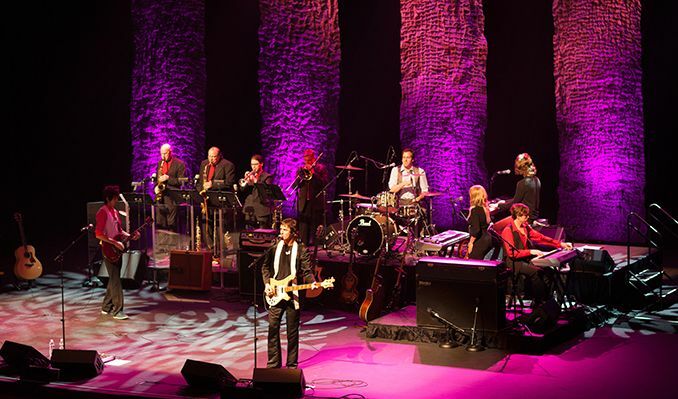 While the lights slowly fade on stage, their performance will not only rejuvenate, rekindle and remind you of your love of songs written by Sir Paul McCartney, Wings and The Beatles, the material will leave you singing well after the final curtain call of the show.